You are here: Home / Business Loans / Applying For A Small Business Loan Online? Here’s What You Need To Remember! Applying For A Small Business Loan Online? Here’s What You Need To Remember! … Turns out, this seemingly simple piece of advice still holds true in almost all practical situations. For small businesses, the need for funding can arise owing to many factors – the need for new machinery or equipment, upgrading technology, a shortfall in working capital, sudden upsurges in demand, etc. In almost all instances, a small business will consider taking a business loan to meet these requirements… So might as well be prepared for it? Applying for a small business loan isn’t rocket science. A small business can approach banks, NBFCs and such other institutions for the same. Almost all institutions offer straightforward online processes to makes applying for a loan easier. However, every institution has its own set of eligibility criteria, policies, and documentation to decide if the business is worthy of the loan. Since banks do not provide loans without a supporting collateral, the best recourse for a small business is an NBFC or such other institutions that offer unsecured business loans. However, the business also needs to factor in the possible rejection of its application. So, to ensure that you ‘begin well’ and get the business loan you need, here are some points to remember before applying for a small business loan online. Before taking the plunge, it is necessary to evaluate your exact requirements. You must be able to provide the necessary documentation and supporting reasons to back up the loan you are asking for. Additionally, different types of loans are available in the market to meet specific requirements. For example, a small business looking to buy new equipment can opt for a machinery loan. However, the business should be able to justify its need for a loan. Almost all institutions will conduct an inquiry into your credit score after receiving your application for a business loan. Your credit score is your track record of your past loans, your repayment history, and credit card activity. Some institutions will refer to public sources such as the CIBIL score, while some have their own independent methods of evaluating the credit history of a business. To know more about these factors, refer to this article on the 5 factors that could affect your credit score. Different institutions have different criteria and documentation to evaluate a small business’s eligibility for a small business loan. It is advisable to conduct thorough research on the requirements of different institutions, along with other important factors such as the kind of industry each one of them prefers to invest in if they prefer established businesses over startups, and also if they require collateral against the loan. This way, a business can improve its chances of obtaining a small business loan and avoid rejections. Remember, even rejection of a loan application can negatively impact your credit score. Additionally, a business must consider how quickly it needs a loan. Most institutions have a quick, online process, where all essential documents can be uploaded and evaluated instantly backed by relevant technology. If the business fulfills all the criteria, it could even obtain a business loan online within 3 days! All institutions will ask for your financial statements – to evaluate the soundness of your small business. 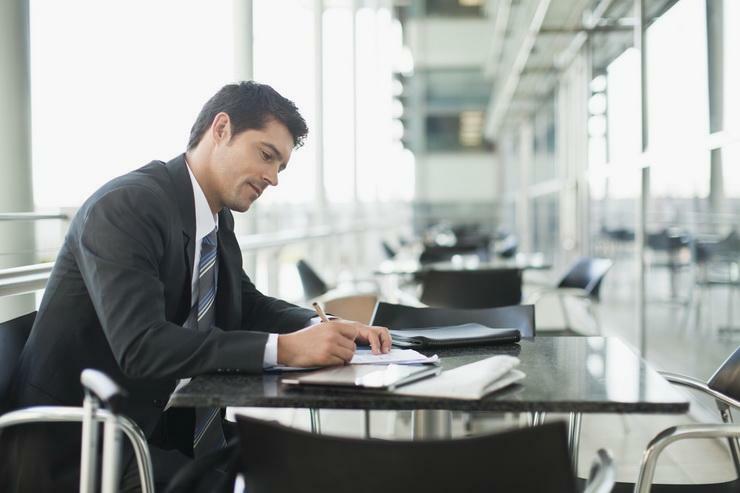 Additionally, it is important to convey a robust plan on how you intend to utilize the loan. A lender must be convinced that the business is growing, and has strong fundamentals. One of the factors that you need to pay attention to is the cash flow – poor cash flow might appear to be a hurdle in the institutions’ evaluation of a business’s repayment ability. If you begin well, getting a small business loan online shouldn’t be a problem – all you need to focus on is a favorable credit score and sound business fundamentals! 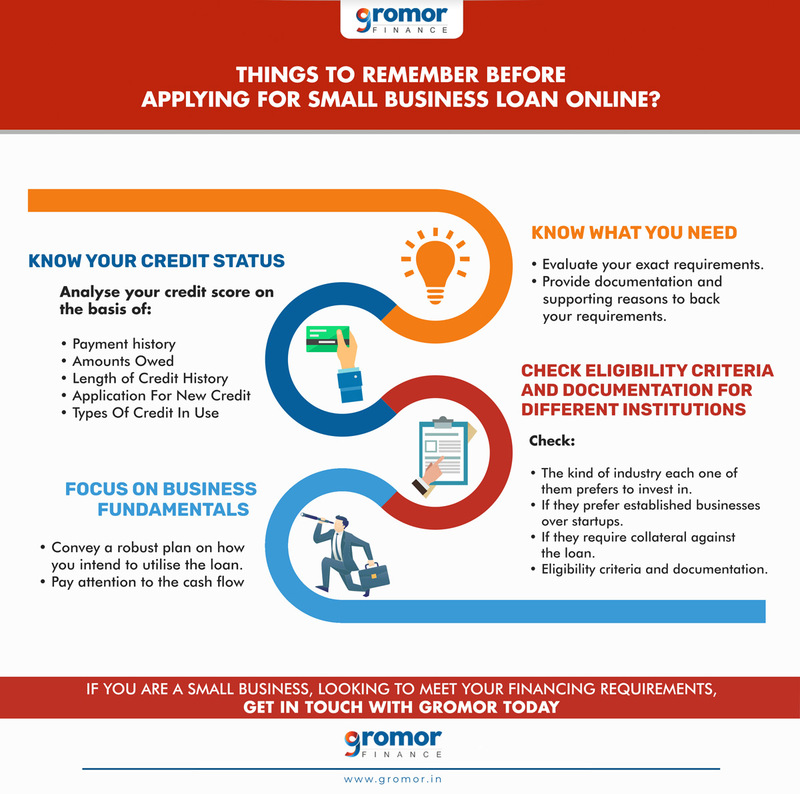 If you are a small business looking to meet immediate funding requirements, Gromor Finance’s unsecured business loans are just a click away!